By my count, we have five weeks of summer left (school starts for us the last week of August). For our family, the first two weeks were consumed with moving to a new state. And even though we’ve spent the last two weeks enjoying more traditional summer activities, I know my kids have spent way more time on devices than I’d like. So I’ve vowed to spend more time finding fun, frugal activities that will make the next five weeks feel more like summer. Here are five ideas you can use to keep your costs down for summer fun over the last half of summer for your family (sniff sniff it’s going too fast). And hey, since there are five ideas, you could try one per week! 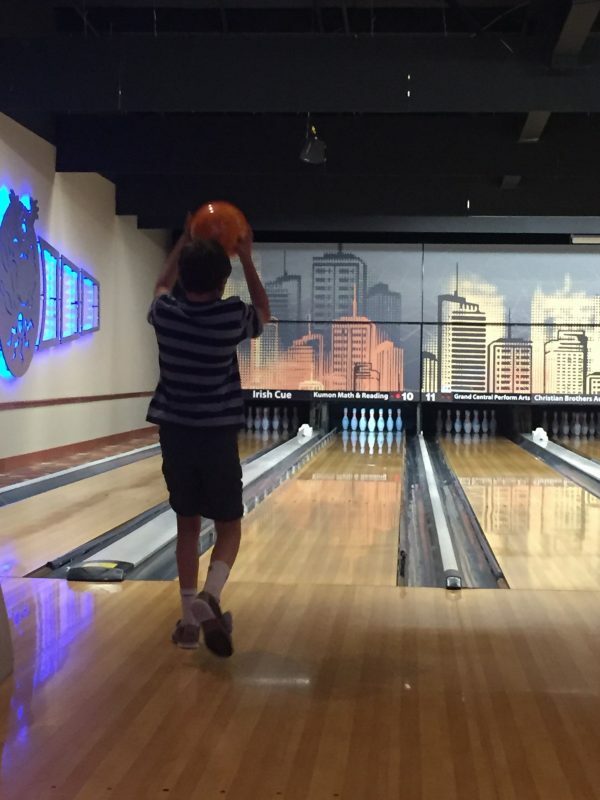 This summer, for the first time ever, local bowling alleys have partnered up to let your kids bowl for free, all summer long. Sign up here for the program. They also have discounted plans for adults. How it works is you sign your kids up and the program will send you links each week with coupons for two free games of bowling per day. I took my kids last week and they had a blast. You will have to pay for their bowling shoes, so be prepared that this isn’t a completely free activity. In my local bowling alley, kids’ rentals were roughly $5 each (tax included). But I still feel like $10 is a pretty good value to keep the kids entertained all afternoon.